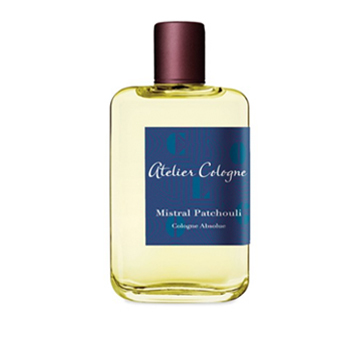 Mistral Patchouli by Atelier Cologne of the Collection Orient is a Cologne Absolue. Cologne Absolue is pure perfume with a concentration of 20 percent essential oils ensuring exceptional long lasting power. For the first time, citruses are blended with the most precious natural raw materials for perfectly balanced creations. Each Cologne Absolue tells the story of treasured emotions and powerful memories. Notes of Star Anise, Pomelo, Black Pepper, Geranium, Iris, Incense, Patchouli, Benzoin, and Vetiver. "Just as they could not stop the winds from blowing, nor could they stay apart any longer. They left everything behind, but they were together, fearless and free. They laughed in the sea salt air and shared a final moment on land before setting sail under the luminous blue sky..."